Most investors tend to think that hedge funds and other asset managers are worthless, as they cannot beat even simple index fund portfolios. In fact, most people expect hedge funds to compete with and outperform the bull market that we have witnessed over the past few years. However, hedge funds are generally partially hedged and aim at delivering attractive risk-adjusted returns rather than following the ups and downs of equity markets hoping that they will outperform the broader market. Our research shows that hedge funds do have great stock picking skills, so let’s take a glance at the smart money sentiment towards Howard Hughes Corp (NYSE:HHC). Just 19 hedge funds tracked by Insider Monkey were shareholders of Howard Hughes Corp (NYSE:HHC) at the end of Q3 according to their 13F filings, down by 34% from a year earlier. One of the homebuilder’s biggest bulls is billionaire Bill Ackman, who believes Howard Hughes has been unfairly dinged by the market this year because of fears of a broader housing slowdown that have yet to show any signs of impacting HHC. “In its master planned communities (MPCs), HHC recorded its highest ever residential land sales in the third quarter with no signs of a housing slowdown. HHC owns some of the most desirable and well-located MPCs in the country which benefit from in-migration to Las Vegas and Houston as those markets have no state income tax. 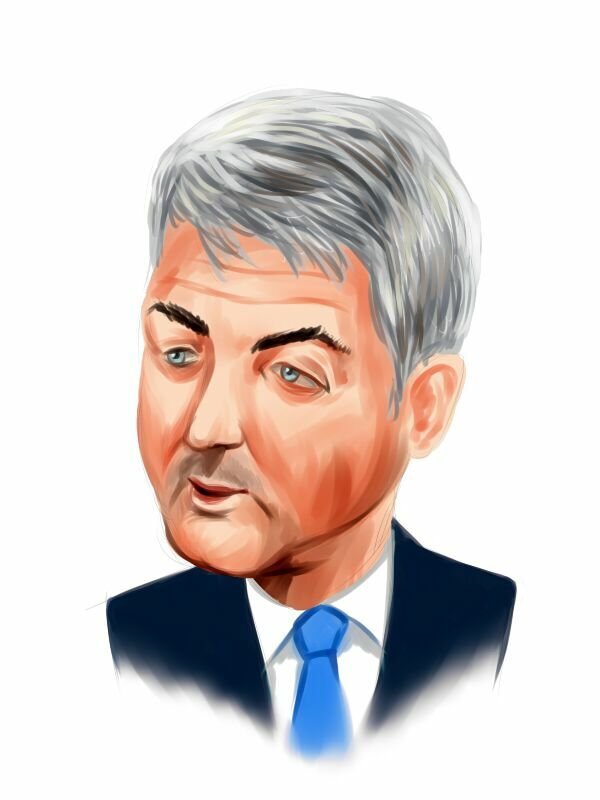 Furthermore, HHC controls the supply and distribution of its MPC land (while generating 75% to 99% cash margins on its land sales), so it can be patient to protect the long-term value of its MPCs if it experiences a future slow-down in sales activity,” Ackman wrote in Pershing Square’s Q3 investor letter. What have hedge funds been doing with Howard Hughes Corp (NYSE:HHC)? At the end of the third quarter, a total of 19 of the hedge funds tracked by Insider Monkey were long this stock, unchanged from one quarter earlier. 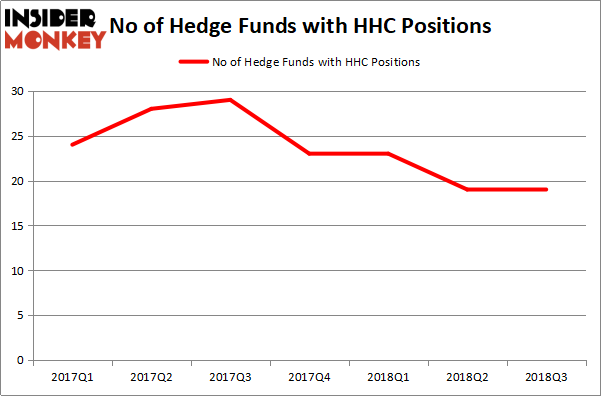 On the other hand, there were a total of 23 hedge funds with a bullish position in HHC at the beginning of this year. With hedge funds’ sentiment swirling, there exists an “upper tier” of key hedge fund managers who were boosting their stakes significantly (or already accumulated large positions). The largest stake in Howard Hughes Corp (NYSE:HHC) was held by Pershing Square, which reported holding $265 million worth of stock as of the end of September. It was followed by Horizon Asset Management with a $255.4 million position. Other investors bullish on the company included Cardinal Capital, Capital Growth Management, and Locust Wood Capital Advisers. Because Howard Hughes Corp (NYSE:HHC) has witnessed flat interest from the entirety of the hedge funds we track, logic holds that there was a specific group of hedgies that decided to sell off their positions entirely last quarter. Intriguingly, Israel Englander’s Millennium Management said goodbye to the biggest stake of the “upper crust” of funds followed by Insider Monkey, comprising an estimated $6.8 million in stock. D E Shaw also dropped its stock, about $4 million worth. These transactions are important to note, as total hedge fund interest stayed the same (this is a bearish signal in our experience). Let’s check out hedge fund activity in other stocks similar to Howard Hughes Corp (NYSE:HHC). We will take a look at Planet Fitness Inc (NYSE:PLNT), Monolithic Power Systems, Inc. (NASDAQ:MPWR) and New Relic, Inc. (NYSE:NEWR). This group of stocks’ market caps are closest to HHC’s market cap. As you can see these stocks had an average of 26 hedge funds with bullish positions and the average amount invested in these stocks was $383 million. That figure was $716 million in HHC’s case. Planet Fitness Inc (NYSE:PLNT) is the most popular stock in this table. On the other hand Monolithic Power Systems, Inc. (NASDAQ:MPWR) is the least popular one with only 18 bullish hedge fund positions. Howard Hughes Corp (NYSE:HHC) is not the least popular stock in this group but hedge fund interest is still below average. This is a slightly negative signal and we’d rather spend our time researching stocks that hedge funds are piling on, like PLNT and NEWR.